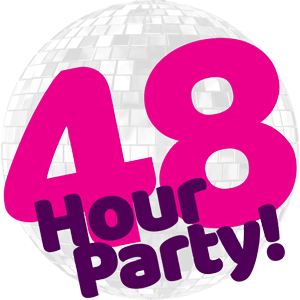 80s Weekender | 48 Hour Party! Terms & Conditions: 48 Hour Party is an Adult only event, all guests must be 18 years or over. Subject to availability, new bookings only. Full balance due 56 days prior to arrival date. Named acts are scheduled to appear, but are subject to change without prior notice. Prices are per person based in upper floor apartments for 2 nights on a self catering basis. Per Person prices are based on minimum occupancy as indicated in the 'Sleeps' section, supplements will be charged if less/more guests are present. Bed Linen, Towels and Electric are not included but can be purchased on park (Linen & Electric included in club apartments only). The following events are split between two venues & acts might be scheduled to appear at the same time in different venues (Prestatyn 1st March 2019, Southport 8th March 2019, Southport 14th June 2019, Southport 20th September 2019, Southport 6th March 2020, Southport 12th June 2020, Southport 18th Sept 2020). When Available, Thursday night stay over (3N options) is £29 per 1 bed apartment or £39 per 2 bed apartment extra + the 2 Night rates unless otherwise stated. Thursday night is shared with a brochure break. Pontins reserves the right to change or remove any promotional offers without prior notice. Calls are charged at 13p per minute + your chosen phone company access charge. 50p surcharge for debit card payments, £2 surcharge for credit card payments. Full terms & conditions apply, visit www.pontins.com/terms-and-conditions. Website Theme DesignedBy.Scot In 2017. © 2017 Copyright 48 Hour Party, Another Amazing Pontins Event.